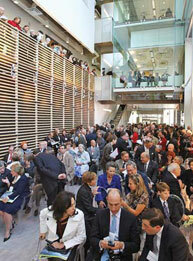 With the September 18, 2008 opening of the McGill University Life Sciences Complex, McGill began a new chapter of innovative interdisciplinary research. The 340,000-square-foot complex—which, with a $73.2-million price tag, is the biggest construction project in McGill history—links the extensively renovated McIntyre Medical and Stewart Biology buildings to two new buildings: the McGill Cancer Research Building and the Francesco Bellini Life Sciences Building. Francesco Bellini is the co-founder of BioChem Pharma, the Montreal company that helped bring 3TC, the first anti-HIV compound drug, to the public. Physically joining the four buildings—collectively home to over 2,000 researchers, technical personnel, graduate students and postdoctoral fellows—is important to the LSC philosophy, which holds that working in close quarters is crucial for nurturing the free flow of information across diverse fields and speeding the rate of life-saving discovery. “This is an enterprise which brings the best of McGill under one roof,” adds Martin Grant, Dean of the Faculty of Science. “It unites Science and Medicine and brings pure research together with the quest for practical applications.” The Bellini Building, for example, is shared by biologists, biochemists and physiologists, as well as scientists in the Centre for the Study of Host Resistance. On the same note, the LSC brings together the McGill Cancer Centre (established in 1989) with the Molecular Oncology Group to create the new Rosalind and Morris Goodman Cancer Centre; this expanded centre includes facilities in the Cancer Research and McIntyre Medical buildings. Morris Goodman co-founded the Montreal-based Pharmascience Inc. 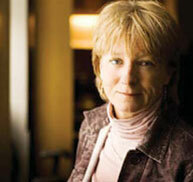 The Goodmans have also endowed a new chair in cancer research. The Life Sciences Complex isn’t just dedicated to improving human health, either. McGill’s Senate Sub-Committee on the Environment helped shape the design of the new buildings, giving careful consideration to “green” issues of sustainability, water efficiency, energy use and construction. This project received funding from the Government of Quebec and the Canada Foundation for Innovation. Much of the search for a diabetes cure hinges on a single question: can insulin-producing pancreatic cells regenerate? A study by researchers from McGill University, the McGill University Health Centre (MUHC) and the Centre hospitalier de l’Université de Montréal (CHUM) has come up with an answer. The cells’ in-vitro plasticity opens up new avenues of investigation into the underlying causes of diabetes. This study is the latest step in an extensive regenerative therapies research program based on a peptide called islet neogenesis associated protein, or INGAP. Rosenberg and his colleagues have demonstrated INGAP’s potential to induce new islet formation in the pancreas. Clinical trials with INGAP have already demonstrated that it is possible to regrow new functional insulin-producing cells in diabetic patients. 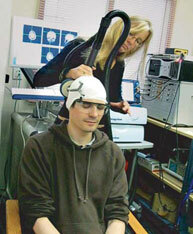 This study was funded by the Canadian Institutes of Health Research (CIHR) and the Stem Cell Network of Canada. Additional support was provided with fellowships from the Canadian Diabetes Association/CIHR and the Fonds de la recherche en santé du Québec (FRSQ). Dr. Rosenberg was supported as a chercheur national by the FRSQ. Some people seem to have a natural resistance to HIV, and a new study by the Research Institute of the McGill University Health Centre and the Centre hospitalier de l’Université de Montréal is getting closer to explaining why. The researchers compared the genetic profiles of people in their first year of HIV infection to those of people who had been repeatedly exposed to the virus yet remain uninfected. The simultaneous expression of certain versions of two genes related to the immune system, KIR3DL1 and HLA-B*57, appears to cause people to resist HIV infection or develop AIDS at a slower rate. Analyses revealed that 12.2 per cent of the exposed but uninfected subjects carried the “good” versions of both genes; only 2.7 per cent of primary HIV patients carried the genes. This study was funded by the Canadian Institutes of Health Research (CIHR) and the Fonds de la recherche en santé du Québec (FRSQ). Chemotherapy continues to be one of the most effective methods for combating cancer, but its success is hardly a sure thing. “One of the major problems with cancer therapy,” says biochemistry professor Jerry Pelletier, “is that the tumours either fail to respond or stop responding over time to various chemotherapy drugs.” Pelletier and a team of McGill researchers have discovered a natural compound that seems to give chemotherapy the upper hand when pitted against stubbornly resilient tumours. Their study was published in the Journal of Clinical Investigation. Working with mice genetically modified to mimic human leukemia, the scientists probed the effectiveness of a class of natural products known as cyclopenta benzofuran flavaglines (CBF). The McGill team discovered that one particular CBF compound, silvestrol, can re-sensitize leukemia cells which had previously demonstrated resistance to the chemotherapy agent doxorubicin. “Essentially, we have turned off the cancer cell’s survival signals, which is associated with resistance,” Pelletier says. Silvestrol is derived from trees and shrubs in Malaysia, southern China and some Pacific islands. Although used in Malaysian folk medicine for generations, it has never before been employed as a cancer treatment; researchers still need to determine if silvestrol can be similarly effective in resensitizing cancer cells in humans. This research was supported by grants from the National Cancer Institute of Canada and the Canadian Institutes of Health Research (CIHR). The 19 chairs have a value of $15.8 million. The Canada Foundation for Innovation is also investing $582,686 to fund research infrastructure essential to the work done by Andersen, Collin-Vézina, Fournier, Gallouzi and Hill. McGill is now home to 137 CRCs. The Government of Canada created the CRC program in 2000 to establish 2,000 research professorships across the country by 2008, with the aim of making Canada one of the world’s top five countries for research and development. McGill has since used its CRCs to recruit exceptional international researchers and to repatriate outstanding Canadian and Quebec researchers. Victims of child abuse might experience biochemical changes to their brains that leave them more vulnerable to suicidal urges as adults. 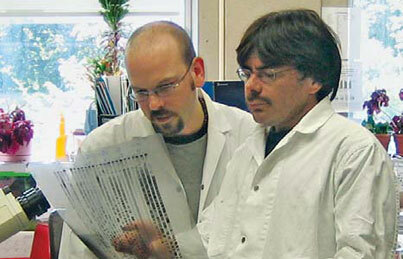 A McGill research team—including psychiatry professor Michael Meaney, pharmacology and therapeutics professor Moshe Szyf, post-doctoral fellow Patrick McGowan and Dr. Gustavo Turecki, Director of the McGill Group for Suicide Studies at the Douglas Mental Health University Institute—compared the epigenetic marking in brains of men who had taken their own lives (and who had all experienced abuse as children) with those of accident victims who had grown up under non-abusive circumstances. While DNA is inherited and remains fixed throughout life, the functioning of its genes is influenced by epigenetic marks, a chemical coating which appears to be sensitive to environmental factors early in life. In comparing the brains in the two groups, the McGill team found evidence of epigenetic differences in the protein-synthesizing machinery, essential for learning, memory and the building of new connections in the brain. It is also linked to decision-making. 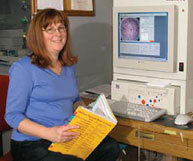 The study was published in the journal Public Library of Science One. This research received funding from CIHR, the Human Science Frontiers Program and the Sackler Program in Developmental Psychobiology and Epigenetics. “McSleepy,TM” the new system, administers drugs for general anesthesia and monitors their separate effects with no manual intervention. In fact, McSleepy recently performed the world’s first totally automated administration of an anesthetic on a patient undergoing a partial nephrectomy, a three-and-a-half-hour procedure involving the removal of a kidney tumour while leaving the non-cancerous part of the kidney intact.